Changing men’s lives for the better - and with one cool watch on the wrist. For the second time this year, Oris will support Movember, a Foundation that tackles some of the biggest health issues facing men, including prostate cancer, testicular cancer, mental health and suicide prevention. After the cool-looking Movember 2017 Divers Sixty-Five, it is time for another great vintage-inspired model to be launched. 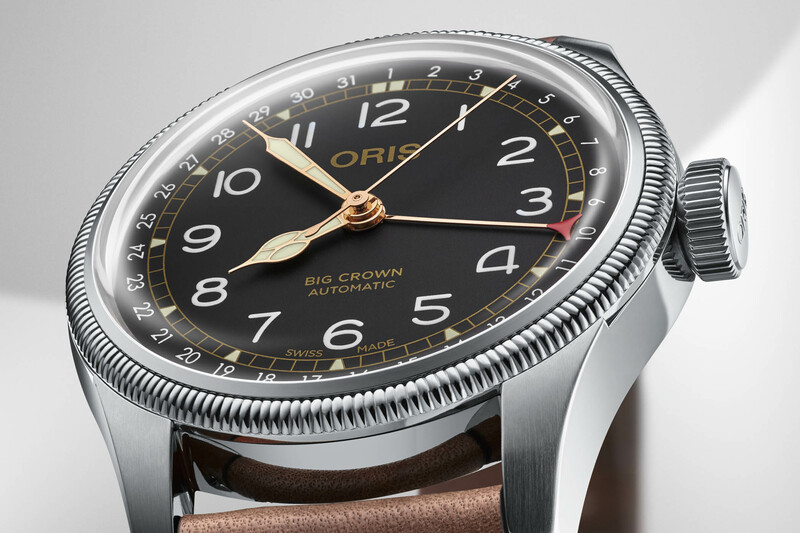 Meet the Oris Movember 2018 Edition, a watch based on the Oris Big Crown Pointer Date launched at Baselworld 2018. The Movember Foundation was founded in 2003 and tackles some of the biggest health issues facing men, including prostate cancer, testicular cancer, mental health and suicide prevention. Its mission is to help men live happier, healthier, longer lives and to stop them dying too young. Every November, it encourages men to grow moustaches to raise money in support of the 1,200 health projects it runs around the world. The event enjoys worldwide backing and is supported by numerous celebrities in sport, comedy and fashion. Once again this year, Oris is partnering with The Movember Foundation, the world’s leading men’s health charity, to raise awareness of these important issues and, as usual, to raise funds in support of the charity and the projects it funds. 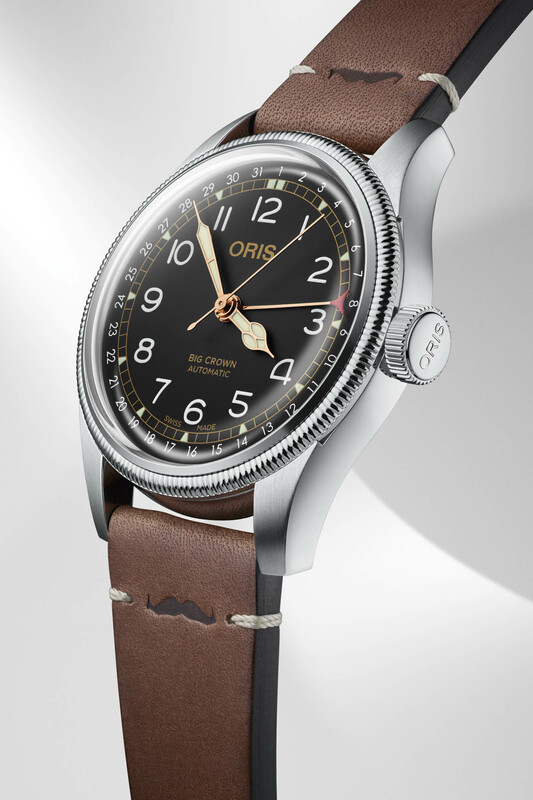 Through sales of the new Oris Movember Edition, the brand has set a goal of raising CHF 100,000 for the charity this autumn. A portion of the sales of each watch will be donated to the Movember Foundation. So, as of late October, you’ll have two goals. First is to grow a “Mo” (a moustache), or just stop shaving. 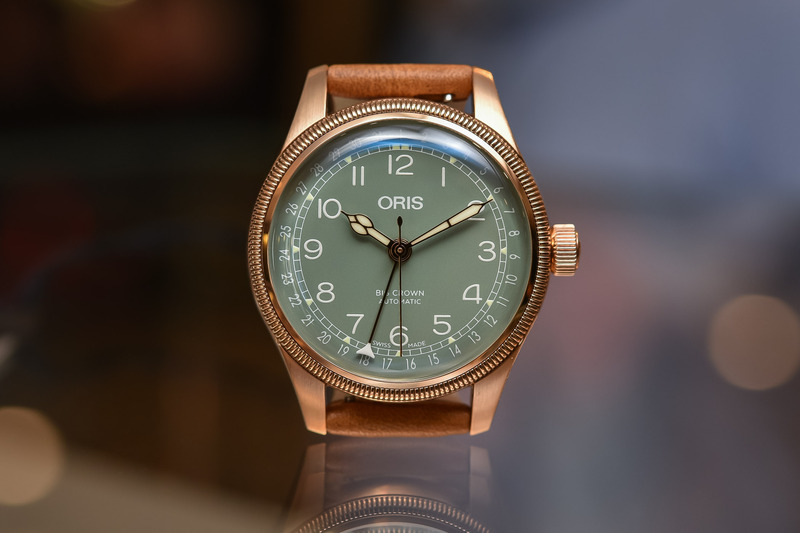 The second and most important mission is to go to your local Oris retailer and get your hands on this new watch dedicated to the Movember movement. 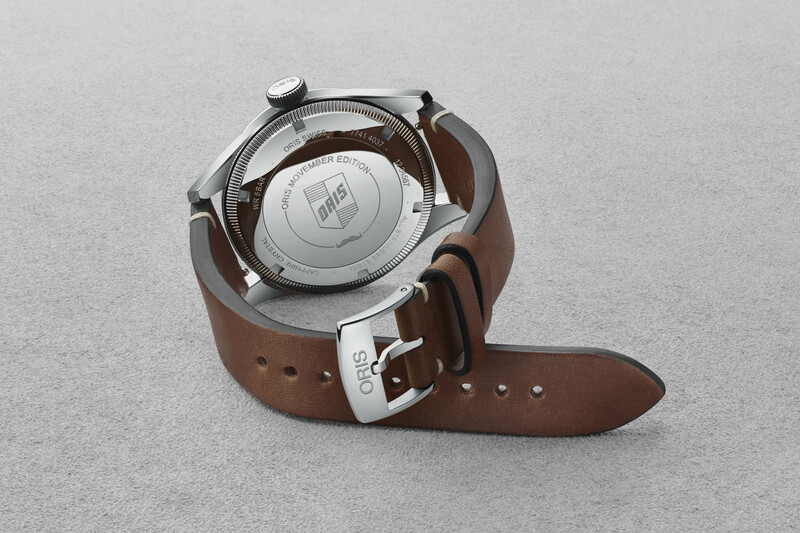 Not only has the watch participated in a charity, which is great, but it is also a very cool-looking piece. 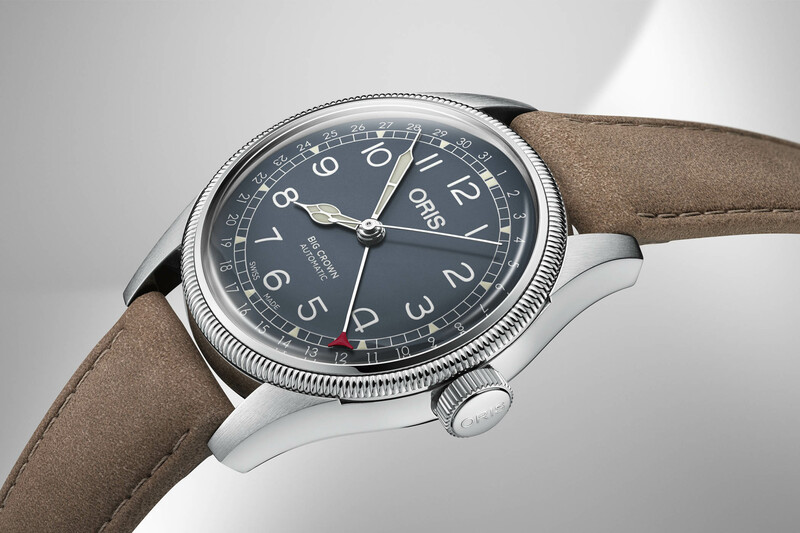 The Oris Movember 2018 Edition is based on the Oris Big Crown Pointer Date introduced at Baselworld 2018. 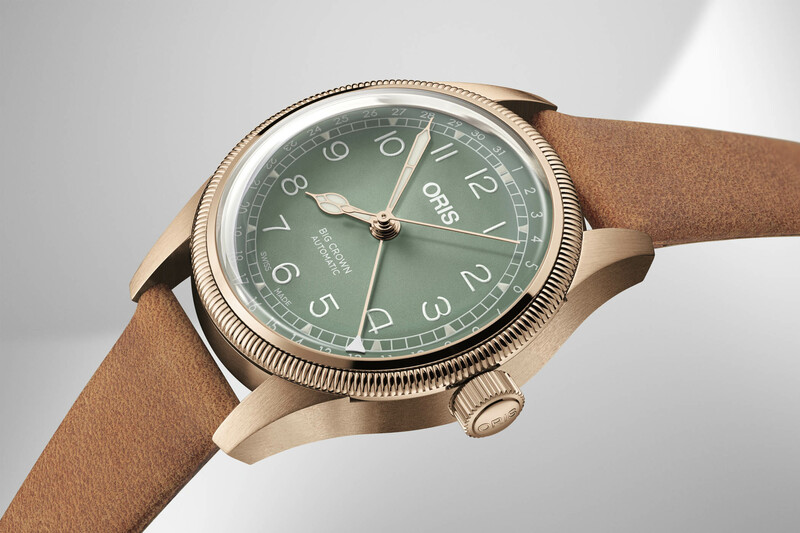 This watch reintroduced one of Oris’ most famous designs, the 1984 Pointer Date watch, which in turn was based on a 1938 design. 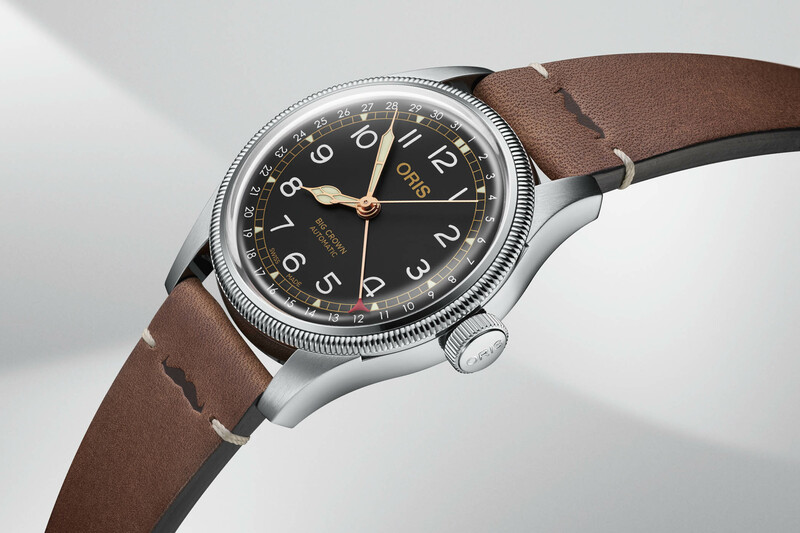 The basic concept is a vintage-inspired, no-nonsense pilot’s watch with restrained design and proportions and, the main feature, a date indicated by a central hand pointing to a peripheral date track. 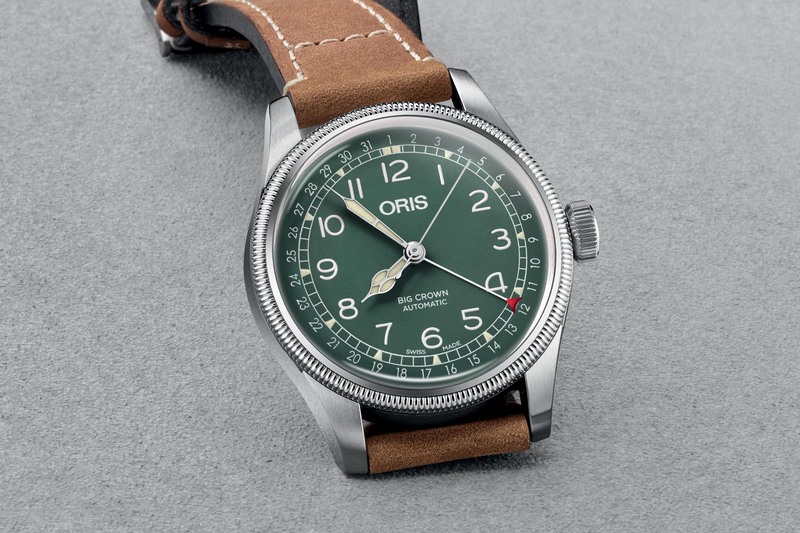 The Oris Movember 2018 Edition relies on the larger edition of this watch, with a 40mm case made of satin-finished and polished stainless steel – a 36mm version of the Pointer Date is also available. The signature elements are still present on this Movember edition, including the knuckled bezel, the oversized crown and the overall tool-ish look. The main differences on this Movember 2018 Edition are a matte black dial with 4N gold-plated hands, gilt inscriptions and markings and faux-patina Luminova for the hands and hour indices. 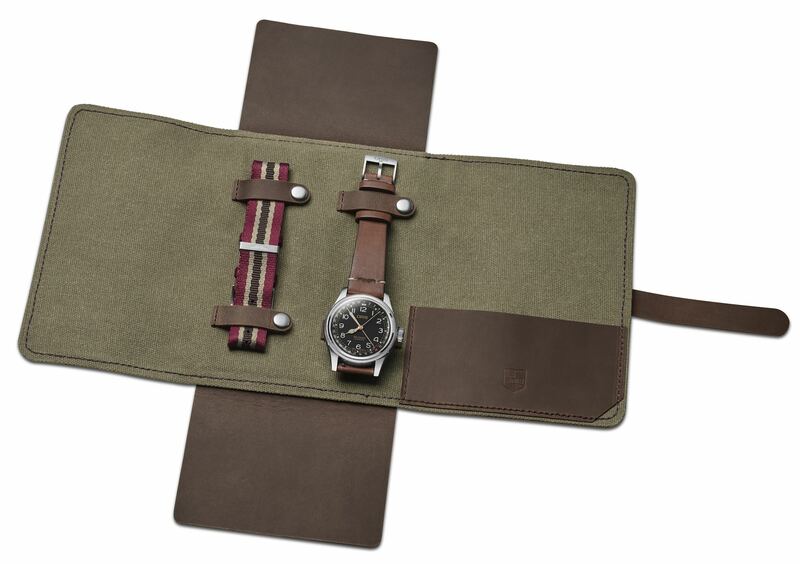 Also, the strap is different, with a vintage style and a moustache embossed at 12 and 6 o’clock. Inside is the same movement as the standard edition – the Calibre Oris 754 (a modified automatic Sellita movement). 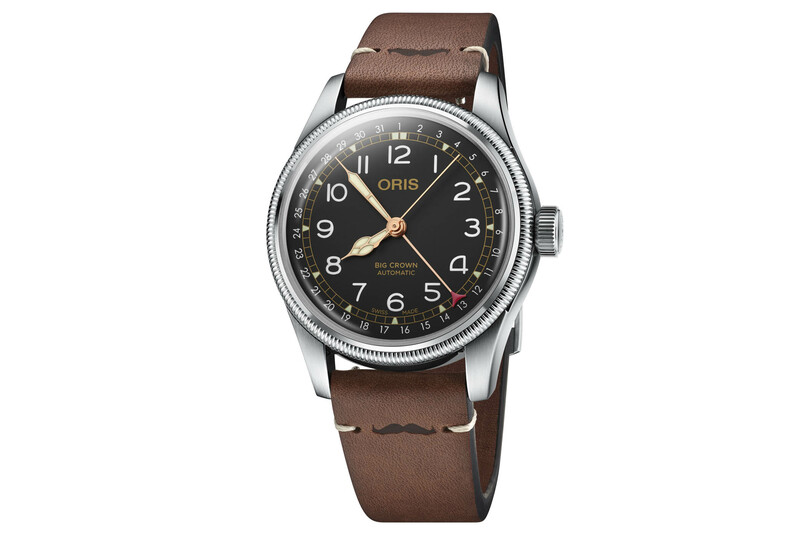 The Oris Movember 2018 Edition has a specific caseback with Movember engravings and is delivered with an additional fabric strap and a leather pouch. It will be available in the coming days for a price of CHF 1,800. More details at oris.ch and at www.movember.com. Nice watch. It wasn’t launched in 2018, though – this model has been around in the catalogue since 1938. 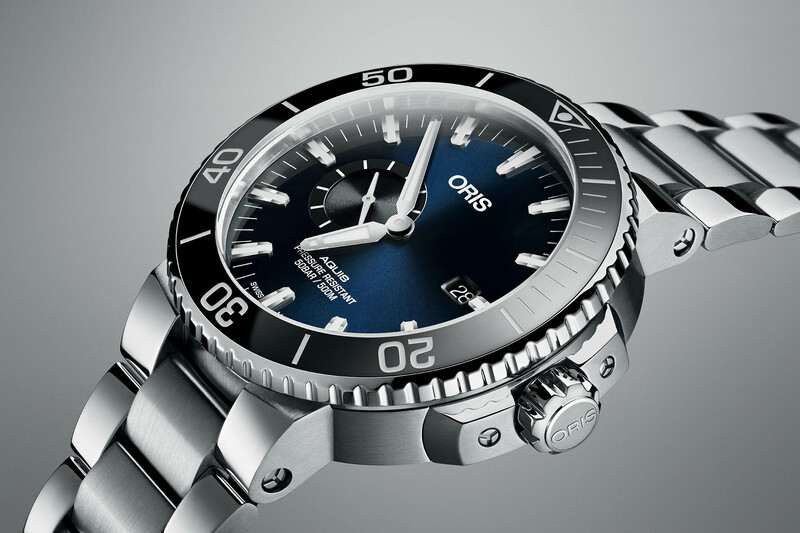 It’s basically a revised version of the Big Crown Pointer Date that was renamed to “Original” Pointer Date around 2009/2010 when Oris introduced a modern version with a flat sapphire crystal and stylised dial/hands. In fact this model hasn’t been out of the catalogue since the early 1980s when Oris started making mechanical watches again. There’s nothing new under the sun!